What’s Included In A Pre-Purchase Exam? Palm Beach Equine Clinic’s (PBEC) Dr. Richard Wheeler recently shared the basic steps he takes in performing an equine pre-purchase exam. 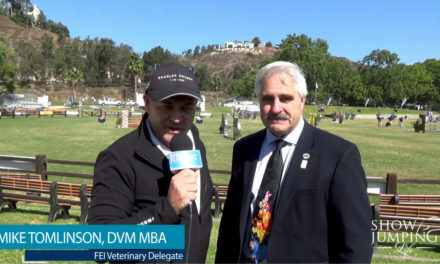 Dr. Wheeler and PBEC’s 40 veterinarians, including Board Certified surgeons, internal medicine specialists, and radiologists, are considered some of the most experienced in the disciplines of show jumping, dressage, polo, and beyond. All of the doctors enjoy the opportunity to work with many of the top horses in the world in all disciplines featured in PBEC’s home base of Wellington, FL. With thousands of horses competing in Wellington at events such as the Winter Equestrian Festival and the Adequan® Global Dressage Festival, equine sales are a big part of the business for many equestrians throughout the winter season. PBEC’s pre-purchase examination services are always available to assist in making the best decision on your purchase. No matter what the breed or discipline, pre-purchase exams include several basic initial steps. First, an overall health evaluation of the horse is completed, including previous health history, general condition, and conformation, as well as specific examination of the body systems including eyes, cardiovascular system, and respiratory system. Next, a lameness assessment is completed, including flexion tests, soft tissue structure palpation, and movement evaluation. Additional diagnostic imaging such as radiographs (x-rays), ultrasound, endoscopy, magnetic resonance imaging (MRI), nuclear scintigraphy (bone scans), or computed tomography (CT) scans may be requested for additional information. PBEC recently underwent significant facility upgrades, including the addition of a state-of-the-art CT scan machine. 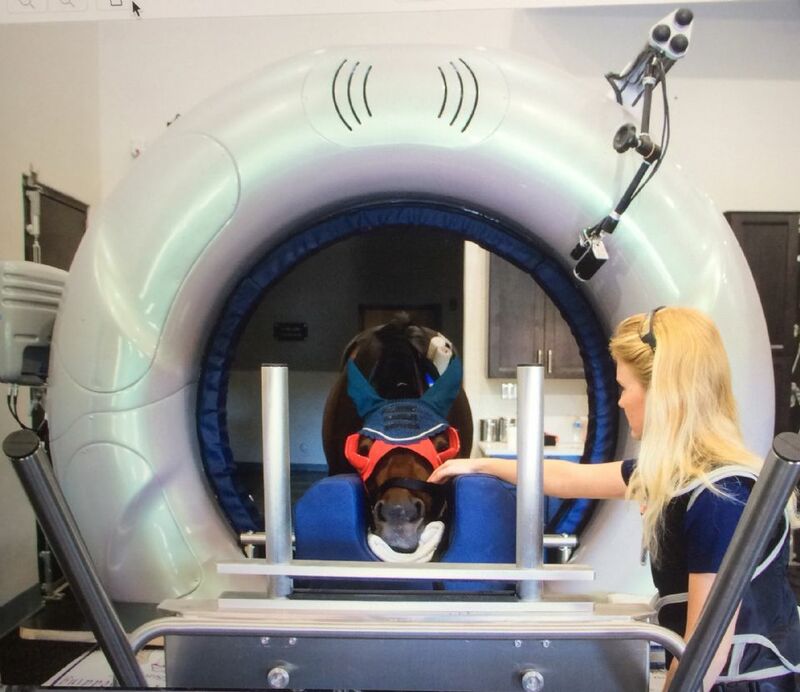 The CT scan gives PBEC veterinarians the unique opportunity to conveniently explore areas of a horse’s body that they were not otherwise able to see. 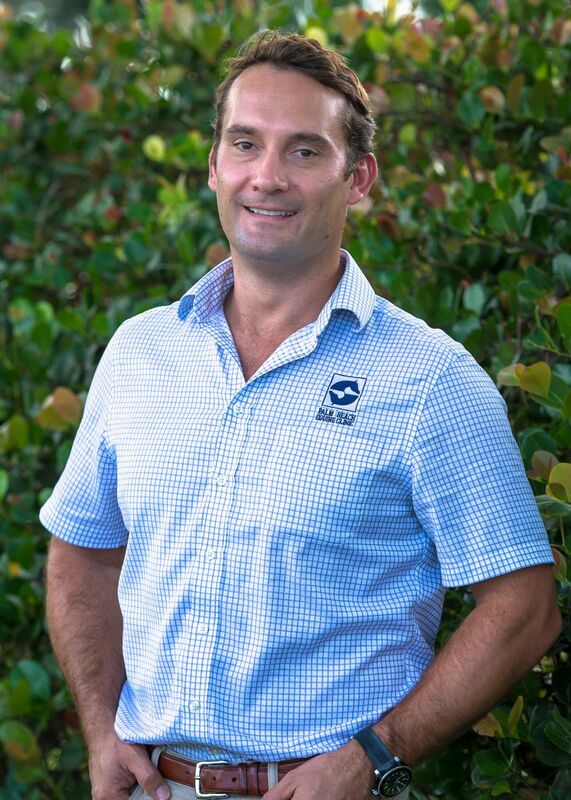 Palm Beach Equine veterinarian Dr. Richard Wheeler. Blood tests are often taken and normally will include CBC, Chemistry, Coggins test, and a drug screen. Depending on the age or type of horse other tests may be performed. 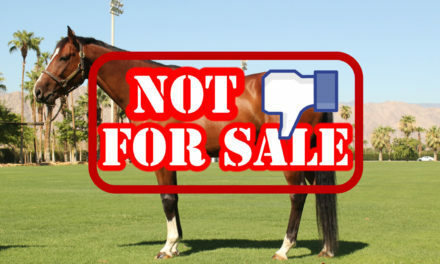 Dr. Wheeler pointed out that it is not the intention of a pre-purchase exam to recommend the horse for purchase or for sale. The exam is performed to provide information about the level of risk and educate the client of that risk. The client will make the decision on whether they want to buy the horse or not based on the information the veterinarian has provided as well as information from their trainer. 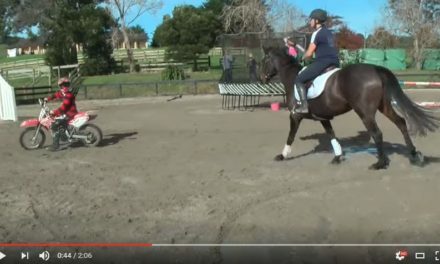 Every exam is different, but the basic steps of evaluating a horse for any discipline or level of competition are fairly standard. It is important to have a veterinarian who is experienced and knowledgeable with the specific discipline to provide accurate guidance on the horse’s condition for the expected job. 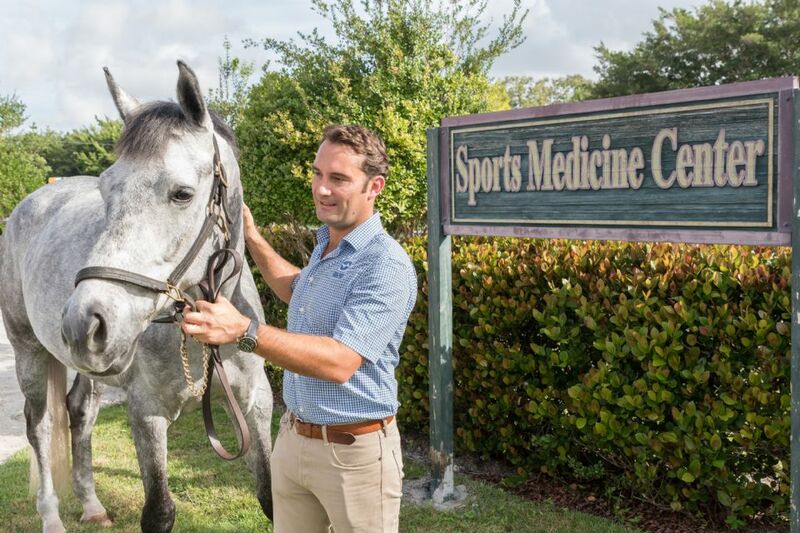 For the clientele of Palm Beach Equine Clinic, the veterinarians are all well schooled in the different disciplines, and many have additional expertise in specific areas. To schedule your pre-purchase exam, call Palm Beach Equine Clinic at 561-793-1599. About Dr. Richard Wheeler Dr. Wheeler graduated from the Royal Veterinary College in London in 2002. 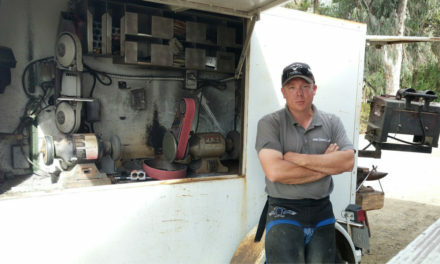 He spent his first two years of practice as an intern at Greenwood, Ellis and Partners in Newmarket, England, where he worked in a referral center specializing in the treatment of Thoroughbred racehorses and Sport Horses. Dr. Wheeler moved to Palm Beach Equine Clinic in 2005 and became a partner in 2009. Dr. Wheeler’s clients include Jumpers, Dressage and Polo and he is licensed to practice in FL, KY, NC and NY and also the UK and Europe. About Palm Beach Equine Clinic The veterinarians and staff of PBEC are respected throughout the industry for their advanced level of care and steadfast commitment to horses and owners. With more than 40 skilled veterinarians on staff, including three board-certified surgeons, internal medicine specialists, and one of very few board-certified equine radiologists in the country, PBEC leads the way in new, innovative diagnostic imaging and treatments. Palm Beach Equine Clinic provides experience, knowledge, availability, and the very best care for its clients. To find out more, please visit www.equineclinic.com or call 561-793-1599. “Like” them on Facebook to follow along on what happens in Wellington and more, and get news from their Twitter and Instagram! Lead photo: Dr. Richard Wheeler at Palm Beach Euiqne Clinic’s Sports Medicine Center in Wellington, FL. Jules Dash has been riding since the age of five. She's an accomplished editor, writer and photographer.